If you have not check in by start of tournament and haven’t communicated that you will be late you will be removed from tournament. Their is is button on the website that says “register” if their are still spots remaining. Please use it or if you are having trouble you can send an email to [email protected] saying you want to register and I can manually put you in. Food for lunch will be included too. Should there be a tie for first place, another game shall be played as a tiebreaker. No other ties will be broken unless its for a trophy or prize but the results to IFPA will be a tie. Everyone gets to try and qualify for the tournament but only the top 16 will do a playoff. This is the exact same format that I ran for the Late Night Bonus Tournament in March. Qualifying for this tournament will start at 8:30AM with practice for main tournament. Finals for this tournament will start at the conclusion of awards from the 1st tournament; approximately 5PM. This tournament will be a 2 game, best game, qualifier then a 3 round, 12 game multi match playoff for the top 16 players. 2 machines will be set aside before the start of the main Match Play tournament. You will play 1 game on each machine and write down your actual score. You will then receive points (1-100) based on how well you do against the rest of the field and points will be assigned using IFPA scoring (100,90,85,84,83,etc). 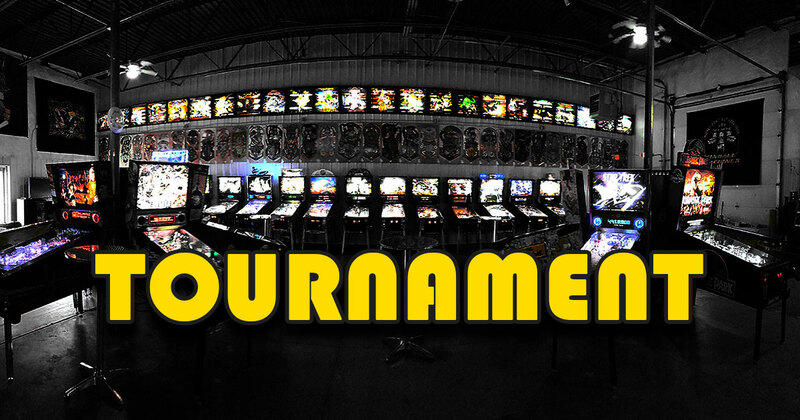 You can qualify for this tournament anytime from 8:30AM to conclusion of round 13 in match play tournament but you only get 1 try on each machine. Then the top 16 players will do a 12 game multi match play playoff to determine the winner with top 2 advancing and bottom 2 being eliminated with every round of each 4 group set. 4 groups of 4 people each will be bracketed based on qualifying position and play 4 games against each other. These 4 games will be played at the same time (multi-matchplay style). You will recieve (7/5/3/1) scoring based on how well you do. The top 2 will advance the bottom 2 will be eliminated. Groupings of games will be pre-selected. Top seed in each group gets to choose their order 1st, then next highest seed, etc. How many points you get in each round do matter. If you get eliminated I will look at how many points you earned vs other people that got eliminated in the same round and rank you based on points earned so we won’t have an 8 way tie for 9th place. We will continue this way until the top 4 remain. Only the ties for 1st overall or 2nd & 3rd in 1st and 2nd rounds will be broken with a 1 game playoff.